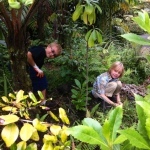 Located in the middle of a lush Hawaiian tropical rainforest in Hilo, Hawai‘i, the Pana‘ewa Rainforest Zoo & Gardens is operated by the County of Hawai‘i Department of Parks and Recreation. It is a popular attraction for both residents and tourists, with an estimated 170,000 visitors annually. 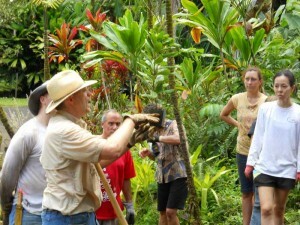 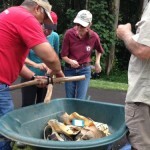 UH Extension Forester Dr. J.B. Friday conducts planting demonstration. 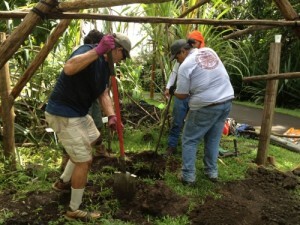 The Discovery Forest features a demonstration of native, cultural, and medicinal plants. 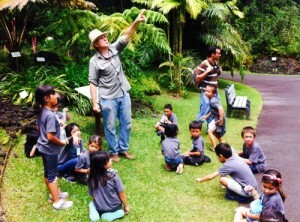 Culturally significant plants that once grew in the traditional farms and native forests of East Hawai‘i are featured in the Discovery Forest, including Polynesian-introduced plants that arrived with migrations in voyaging canoes. 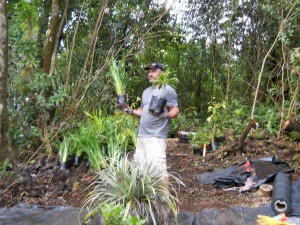 These “canoe plants”, along with many endemic species, play essential roles in Hawaiian culture, for food, fiber, tools, implements, building materials, and medicine. 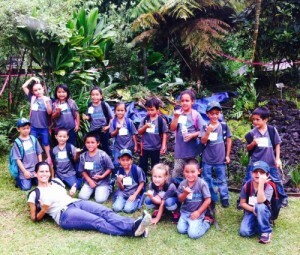 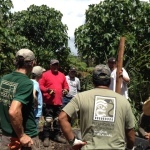 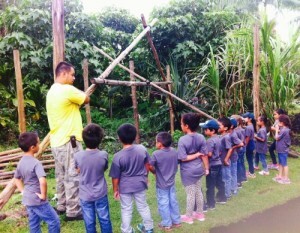 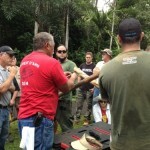 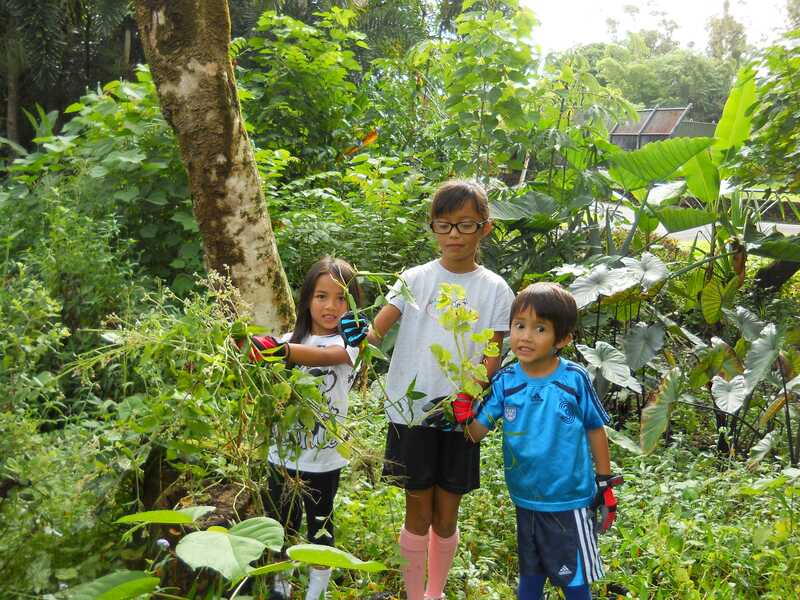 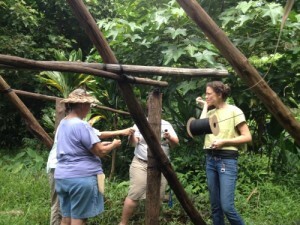 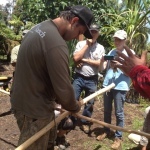 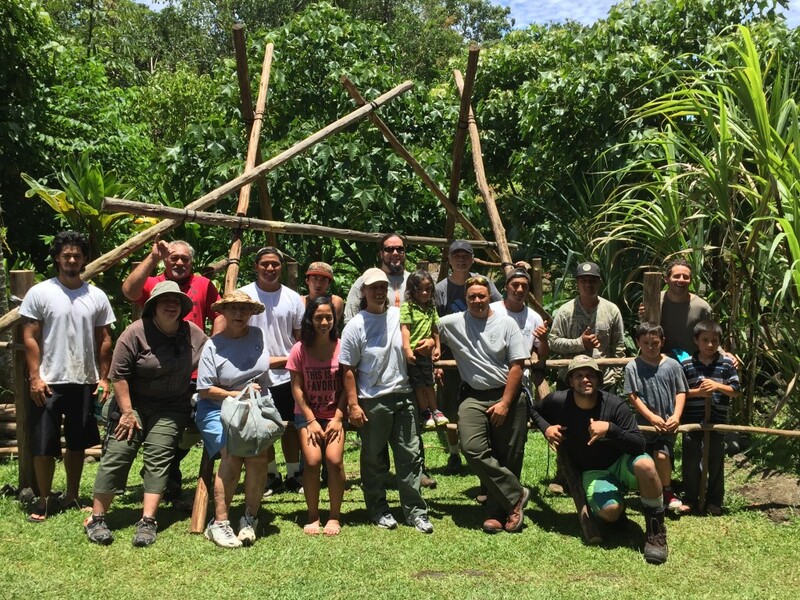 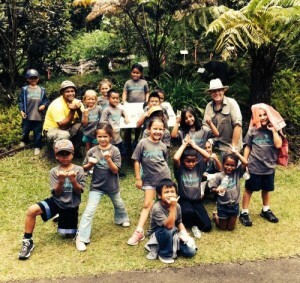 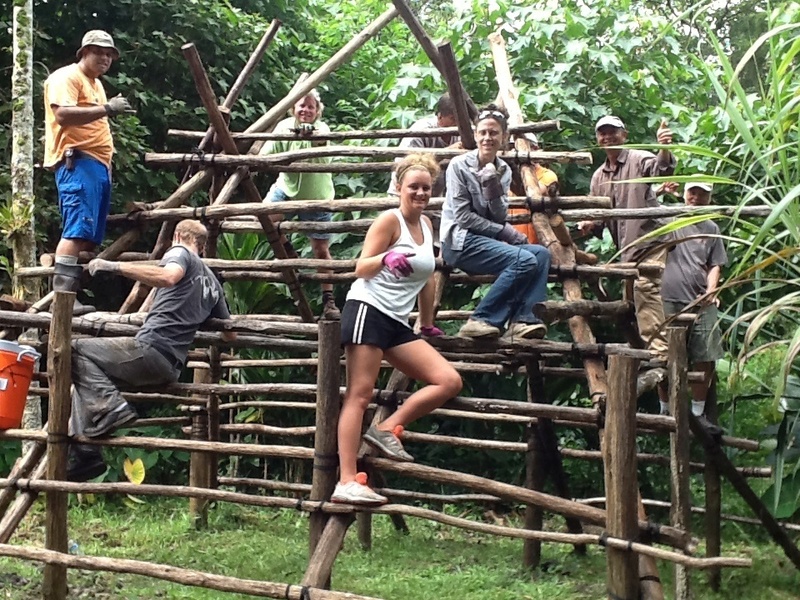 The Hawai‘i Forest Institute (HFI) and the Hawai‘i Forest Industry Association (HFIA), along with community partners completed the first phase of the Pana‘ewa Zoo Discovery Forest project in 2011 and the second phase in 2013. 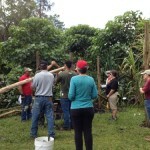 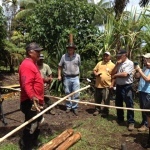 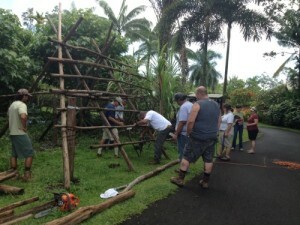 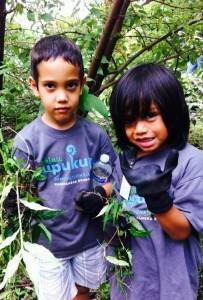 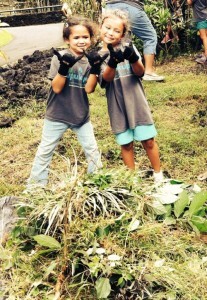 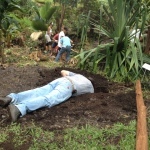 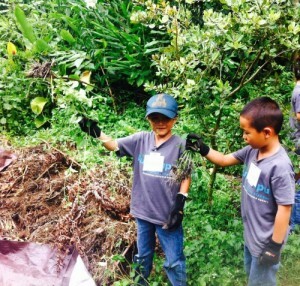 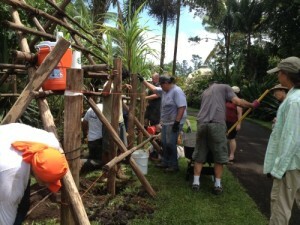 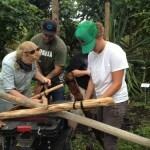 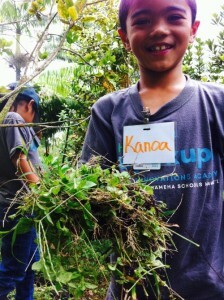 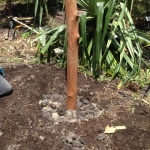 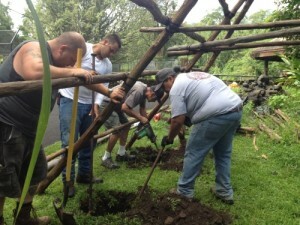 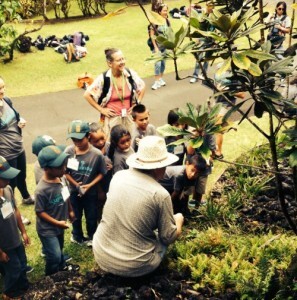 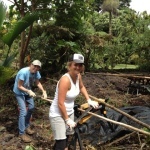 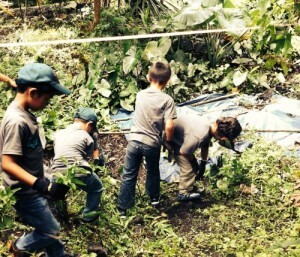 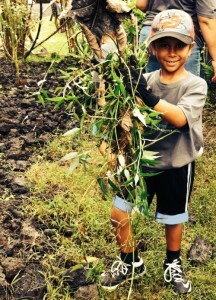 Over 300 community volunteers have participated in creating native and agro-forest demonstration gardens and interpretive signage, and HFI received funds from the Hawai‘i Tourism Authority to initiate Phase III, which will include the clearing of undesirable trees, the construction of a Traditional Hawaiian Hale, and additional plantings. 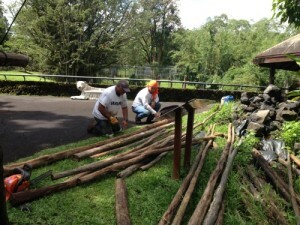 The project continues to provide education, recreation, and volunteer opportunities for community residents and visitors. 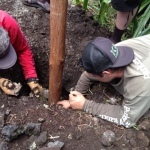 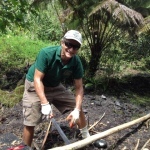 The Discovery Forest relies on volunteers and contributions for planting seedlings, caring for new plants, planting materials, interpretive features, and hardscape materials. 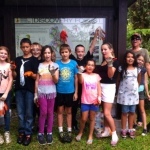 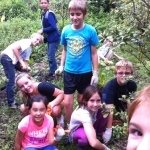 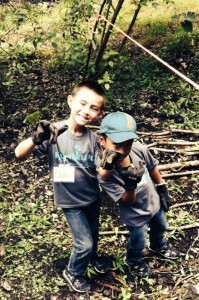 It has been an important goal to have the involvement of schools and community groups to help create and maintain the Discovery Forest, and students from nearby schools often come as a class to clear weeds, plant seedlings, and learn from native plant experts.